Here at MasterMinds Leadership, we value learning and continued education. So, we wanted to share with you a virtual bookshelf of books that we've read and found useful in business and in life. 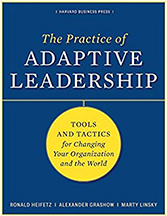 A practical guide for leading through change by making organizations more adaptive, responsive, and innovative. A ground-truth book for the modern leader seeking a better way to manage through change. A lively, succinct book on making coaching a regular part of your day. One of the most profound books written on the power of showing vulnerability with courage. 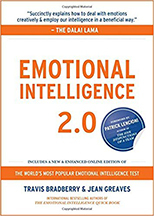 A popular book on what emotional intelligence it is, how to increase it, and how to use it. A great guidebook for adrenaline junkies who want to manage their stress in positive ways. A practical guide for how to zero in on what is holding us back and how to move those obstacles out of the way. 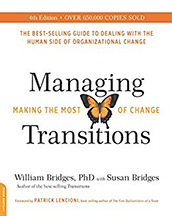 Walks leaders through the psychological impact of change and how to support their teams through the transition. Leading Change includes the eight most common mistakes leaders make when leading change. Insightful analysis of the five biggest obstacles to building a high-performance team. An action plan for employers and employees to calculate the financial costs associated with toxicity and address the problem. Another fine read on toxic workplaces, how to know if you have one, and how to solve the problem.